Juice extracted from fruits and veggies will contain concentrated amounts of vitamins, minerals, and other plant nutrients. 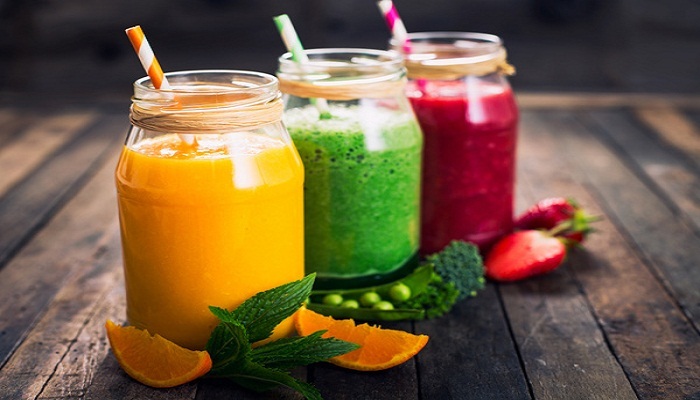 If you tend to avoid fresh, frozen or canned fruits and veggies, juicing can provide a convenient and refreshing way to get a healthy dose of nutrients that are easily absorbed. But when juicing fruits and vegetables, some of the healthy, filling fiber is lost. That's because juice extractors separate the juice from the fiber-rich pulp and skins. "You do lose fiber in fruit and vegetable juices, and that results in juices having the ability to spike your blood sugar in a more dramatic way than if you ate the actual fruit or vegetable," said Robin Foroutan, an integrative medicine dietitian and spokesperson for the Academy of Nutrition and Dietetics. In addition to fiber, you also lose some polyphenols and antioxidants found in the pith of citrus fruits and skins of fruits and vegetables that may not be extracted as effectively in home juicing, explained Mario G. Ferruzzi, a professor in the Department of Food, Bioprocessing and Nutrition Sciences at North Carolina State University. If you do choose to juice, don't delay drinking. "It is best to drink the juice right away, because antioxidant and enzyme activity decreases over time," Foroutan said. Antioxidants help to balance inflammation, while enzymes (like those found in pineapple) help with digestion. If you are juicing and plan on drinking the juice later, it's best to store it in an airtight glass container, refrigerate and consume within one day, Foroutan explained. Cold-pressed juicers don't create heat the way centrifuge juicers do, and heat destroys enzymes in produce. However, centrifuge juicers likely don't get hot enough to actually destroy enzymes or oxidize nutrients, Foroutan explained. "I don't think the heat generated would be enough that it would kill enzymes or nutrients in the way cooking does," Foroutan said. To minimize fiber loss, you can combine some of the pulp back into the juice. You can also salvage the pulp by using it to fortify other foods, such as cake or muffin batters, cooked rice or soups, according to the Academy of Nutrition and Dietetics. One study revealed that blending provides other benefits over juicing. Specifically, juices that had been prepared by blending whole fruits had stronger antioxidant activities and contained larger amounts of phenolic compounds than juices that had been prepared by juicing the flesh of fruit. However, levels of vitamin C in apple, pear and mandarin orange juice were significantly higher in juice that had been processed by juicing, rather than blending.